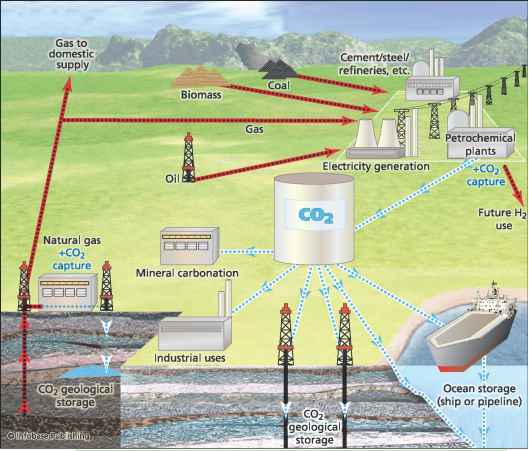 According to the IPCC, CO2 capture and storage (CCS) is a process that involves capturing the CO2 arising from the combustion of fossil fuels (such as in power generation or refining fossil fuels), transport to a storage location, and long-term isolation from the atmosphere. Before CO2 gas can be sequestered from power plants and other point sources, it must be captured as a relatively pure gas. According to the U.S. Department of Energy, on a mass basis, CO2 is the 19th-largest commodity chemical in the United States, and it is routinely separated and captured as a by-product from industrial processes such as synthetic ammonia production and limestone calcinations. CSS has the potential to reduce overall mitigation costs, but its widespread application would depend on overall costs, the ability to successfully transfer the technology to developing countries, regulatory issues, environmental issues, and public perception. The capture of CO2 would need to be applied to large point sources such as energy facilities or major CO2-emitting industries to make it cost effective. Potential storage areas for the CO2 would be in geological formations (such as oil and gas fields, unminable coal seams, and deep saline formations), in the ocean (direct release into the ocean water column or onto the deep seafloor), and industrial fixation of CO2 into inorganic carbonates. Storage in geological formations, however, may face risks due to leakage from structural characteristics in the storage location, as discussed previously in chapter 2. 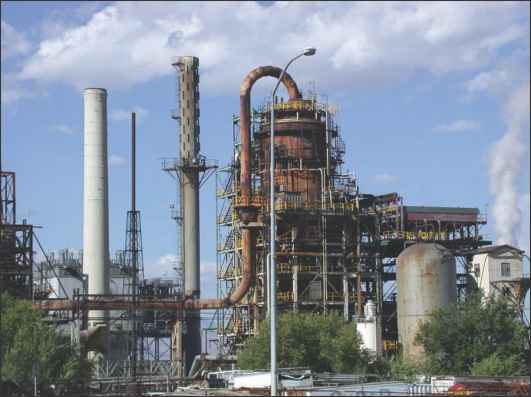 Current technology captures roughly 85-95 percent of the CO2 processed in a capture plant. A power plant that has a CCS system (with an access to a geological or ocean storage) uses approximately 10-40 percent more energy than a plant of equivalent output without CCS (the extra energy is for the capture and compression of CO2). The final result with a CCS is that there is a reduction of CO2 emissions to the atmosphere by 80-90 percent compared to a plant without CCS. When CO2 is captured, it must be separated from a gas stream. Techniques to do this have existed for 60 years. Used in the production of town gas by scrubbing the gas stream with a chemical solvent, CO2 removal is already used in the production of hydrogen from fossil fuels. This practice helps remove CO2 from contributing to global warming. When the CO2 is transported to its storage site, it is compressed in order to reduce its volume; when it is compressed, it occupies only 0.2 percent of its normal volume. Each year, several million tons of CO2 are transported by pipeline, by ship, and by road tanker. Today there are several options for storing CO2. Initially, it was proposed to inject CO2 into the ocean, where it would be carried down into deep water and would stay for hundreds of years. In order for any CCS scheme to be effective, however, it needs to sequester huge amounts of CO2—comparable to what is currently being submitted into the atmosphere—in the range of gigatons per year. Due to the size requirement, the most feasible storage sites are the Earth's natural reservoirs such as certain geological formations or deep ocean areas. 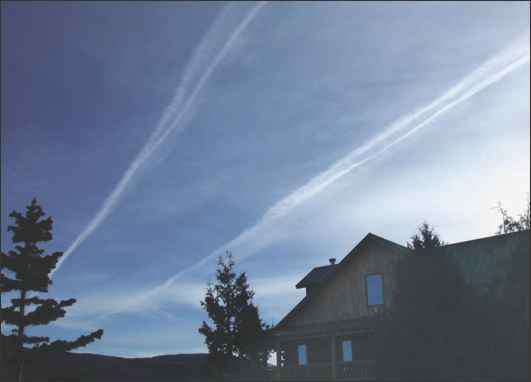 CO2 to the atmosphere, which offsets some of the positive effects of the sequestration. Two other strategies involve injecting CO2 into saline formations or into unminable coal seams. The world's first CO2 storage facility, located in a saline formation deep beneath the North Sea, began operation in 1996. 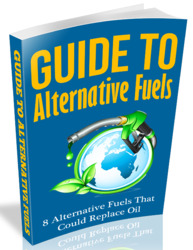 Other alternatives have been proposed as well, such as using CO2 to make chemicals or other products, fixing it in mineral carbonates for storage in a solid form such as solid CO2 (dry ice), CO2 hydrate, or solid carbon. According to the IPCC, another suggested option is to capture CO2 from flue gas, using micro-algae to make a product that can be turned into a biofuel. In order to decide where to find feasible sites for carbon sequestration, it is important to know where large carbon sources are geographically distributed so as to assess their potential. This enables managers to estimate the costs of transporting CO2 to storage sites. According to the IPCC, more than 60 percent of global CO2 emissions originate from the power and industry sectors. Geographically, 66 percent of these areas occur in three principal regions worldwide: Asia (30 percent), North America (24 percent), and Canada/Western Europe (12 percent). In the future, however, the geographical distribution of emission sources is expected to change. Based on data from the IPCC, by 2050 the bulk of emission sources will be from the developing regions such as China, South Asia, and Latin America. The power generation, transport, and industry sectors are still expected to be the leading contributors of CO2. Global storage options are focusing primarily on geological or deep ocean sequestration. It is expected that CO2 will be injected and trapped within geological formations at subsurface depths greater than 2,625 feet (800 m), where the CO2 will be supercritical and in a dense liquidlike form in a geological reservoir, or injected into deep ocean water so it disperses quickly, or deposited it at great depths on the floor of the ocean with the goal of forming CO2 lakes. Current estimates place both types of sequestration as having ample potential storage space—estimates range from hundreds to tens of thousands of giga-tons (Gt) of CO2.